Whether you like it or not, unbiased reviews are the way of the future and are here to stay. In fact, 79 percent of consumers trust online reviews as much as personal recommendations. And with the millennials emerging as the next generation of big spenders, we are going to see massive shifts in the ways real estate agents do business. Online reviews have become further entrenched in the customer journey. Businesses are recognizing their influence and ability to impact financial success, yet many agents are hesitant. Relinquishing complete control of the messaging that surrounds your personal brand can be daunting. Consumers want to engage in the conversation and share their experiences (good or bad) with others. The authenticity in these reviews can be your greatest asset, as long as you are equipped to participate graciously in the conversation. Use reviews as the opportunity to engage with past clients and show your consideration for prospective clients. Customers who shared positive reviews will feel reaffirmed in your relationship, and those with less than optimal experiences can represent an opportunity to build credibility. In fact, by acknowledging the dissatisfaction, appropriately apologizing and offering to mend the situation publicly, you demonstrate that your business is handled professionally. By acknowledging the dissatisfaction, you demonstrate that your business is handled professionally. Ask your clients or leave hints for them to write you reviews. You can ask politely in person or by email, and those satisfied with your service should be happy to help. If you’d rather be more subtle, you can try giving them thank-you cards with a link to your online review profile or putting a sticker on the agreement that tells them where they can leave you a review. You can also let them know you have an online profile and encourage them to read accolades from past clients. If they are happy with your service, these clients might follow suit and share their experience in an online review. Use reviews as an element to complement your existing online presence. Many review sites offer widget applications that allow your reviews to appear on your personal website as well. It not only showcases feedback from clients that have worked with you, but it also shows prospective clients that you are confident in your service to highlight customer feedback transparently. There are a variety of review platforms, offering different services. Determine your needs, and select the review website that best aligns with your objectives. The next step is to make sure that you are building a strong portfolio of online reviews. In such a fast-moving industry, having zero online presence can do just as much harm to your brand as a poorly managed piece of negative feedback. Having no online presence can harm to your brand as much as poorly managed negative feedback. When a customer has a choice between an agent with authentic, online references and an agent’s self-published accolades — the decision is clear. Style icon and fashion designer Vivienne Westwood once said that your life would be more interesting if you wore impressive clothes. You can apply that principle to content marketing — your brand will be more attractive if you can create impressive content. Don’t get me wrong; real estate blogging is great and can help you brand your business, but there are other ways to create valuable, shareable content. To ensure that your content stands out from all of the standard formatted, dry blog posts on the Web, why not use a different approach? Frame your content in a new way. There are many different ways that you can differentiate the message of your brand and engage with your local prospects. We have compiled 12 of the most creative media formats below. 1. Frame the content in the form of a quiz. Why not create some shareable content in the form of a viral quiz? It’s a great way to segment your audience and create a viral buzz focused on you and your website. Check out sites such as Qzzr.com and TryInteract.com for ideas on quizzes you can deploy in your market. It doesn’t have to be real estate-related all the time. You can create quizzes about your local area or city and target local homeowners in your city with a Facebook ad. 2. Hold a Q&A on Twitter. Tweeting isn’t all about one-offs. You can release a block of questions and answers on Twitter and interact with people in your city. Later, you can repurpose that content into a curated blog post. 3. Ask a “yes or no question” in a text. If you want a customer to give you a straight answer, then ask them a straight question. It is easy to get a simple response via a text message by using SMS applications. This type of content drives not only readership but also engagement. 4. Instead of thinking website, think document. Go bigger by offering downloadable content. A discrete document, such as an e-book, white paper or PDF frequently is perceived to have a higher value. This tactic is great to create as a lead magnet for a landing page. Go bigger by offering downloadable content — an e-book, white paper or PDF. 5. Use infographics and charts. Infographics and charts are a great way to map out the data of your local real estate market. You can use sites such as infogr.am and Piktochart to create highly engaging images. Be sure to add your logo to the image — infographics can be great content that people love to share. 6. Review a recent case study. Do you have a product that you need to present? Focus in on imagining how it was used by one ideal buyer or seller client to solve their problem. When you can be specific, it frequently has general appeal and helps with encouraging people to purchase work with you. 7. Set it up like a comic strip. Everybody loves comics. If you can say what you need to in the form of snappy one-liners, you can always present them with sequential panels, stick figures and bright colors. Bitstrips can help you get started. 8. Use a shared space to place content. Scrapbook sites such as Pinterest are excellent for pulling together related content and having it all in one place. Take lots of pictures as you tour and list homes, and build a significant following. You can also start a conversation in Reddit. Scrapbook sites like Pinterest are excellent for pulling together related content in one place. Video is taking off and will continue to grow. You can easily shoot video content when you are out in the real estate field. You can also record on-screen presentation on tools such as ScreenFlow and Camtasia. Craft your content in the form of questions that your audience might ask, along with answers provided by an expert. Maybe you are the expert, or you can collaborate with a lender, home inspector or another agent on your team. You can even turn this interview-style content into a real estate podcast. It isn’t just great for SEO. Reference pages such as glossaries are a type of evergreen content that will get the attention of real estate buyers and sellers now and years from now. Reference pages will get the attention of real estate buyers and sellers now and for years. Think of frequently asked questions, and start building a database of answers. What are the average days on the market? How long is the escrow period? 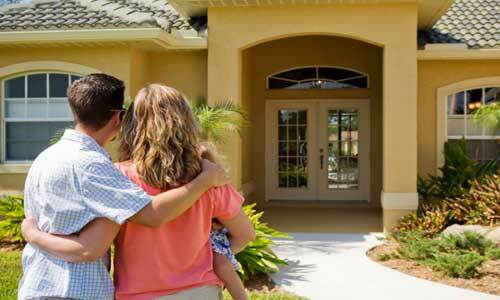 What are the average closing costs? Captions, ALT text, rollover text — these forms of microcontent can all be customized and add interest to your content. It will not only optimize your website — it will also make you appear very knowledgeable about your material. Those are 12 real estate content ideas. You can find even more by just thinking about what attracts you eye when you’re reading content. Is it color, captions, sidebars, audio or video? They all provide you with clues for the next content marketing project you do that isn’t just a simple blog post. It’s a seller’s market in the high season, as everyone knows by now. So if your home is listed, you’re already halfway to the bank, right? Slow your roll, O Zealous Seller! It’s still perfectly possible to scotch your own sale. There are plenty of things you should do, and avoid, to make sure you actually make it to closing day, your way. When properties are moving quickly, if your home doesn’t sell within the first couple of weeks, buyers will start to perceive your home as market-worn. They’ll assume there is an issue with it and consider themselves in a stronger bargaining position or reject the home altogether. So if you’re selling your home, don’t just phone it in. We talked to local experts in some of the nation’s hottest markets right now for tips on how you can ride the wave—as opposed to getting swept up in it. So many factors can feed in to your initial list price: market inventory, perceived vs. actual value, and others. 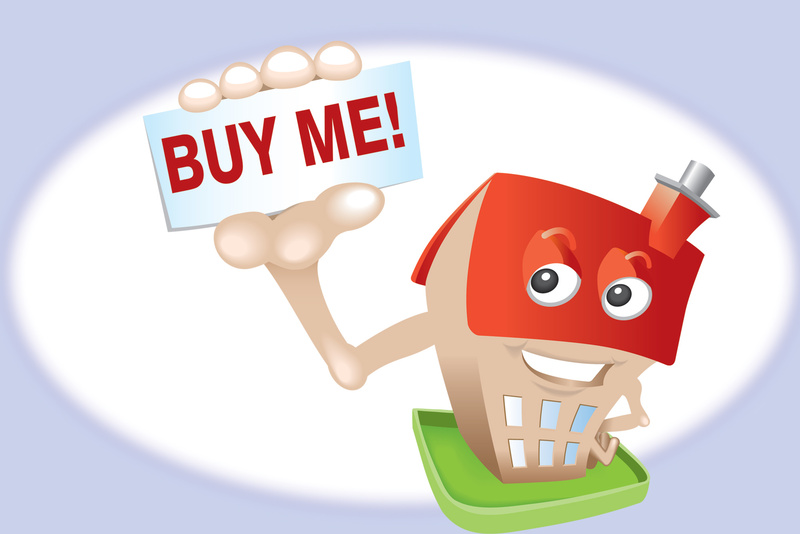 Sellers often fall victim to the lure of a gigantic payday, thinking the higher the price, the higher their take-home. That is almost never true. In this market, buyers don’t think sellers are negotiating very much. If you overprice it, you’ll lose the sweet spot of the first 45 days on the market. Even if you price it $20K over, instead of making an offer, they’ll move on. Your house will take longer to sell, and you’ll likely end up having to cut the price anyway. The strategy we hear a lot—‘We can always come down in price’—can be a very costly one. I understand that nobody wants to leave money on the table, but unfortunately this strategy does exactly that. Even the nicest, newest cribs need TLC. People don’t buy empty, nice, renovated houses. People buy homes. And staging makes a house a home. As awesome as your house may be, it’s your home. Strategic staging offers prospective buyers visual cues to help them picture your house as their home—which can translate to a sale. Some buyers are capable of visualizing, but most are not. Estimates that 60% to 70% of prospective buyers need a little help to imagine themselves in your home. Stagers have the expertise to make the most out of certain spaces in the home. The outside of your home is at least as important as the inside. Brown grass, sketchy shrubs, wilting flowers, peeling paint—all those and more can disqualify a home before your prospect walks through the door. You don’t need to redo your entire house, but there are cost-effective improvements you can make that will dramatically enhance the appeal to your property, like a freshly landscaped yard, clean windows, and a tidy house. Sometimes forsake the exterior to declutter and streamline the inside—but both remain important. The first impression is everything. Most of us open the garage door, park the car, and enter our house from the garage and rarely enter through the front door. Take the time to act like a buyer and enter your home from there, remembering that they will be spending time waiting for the Realtor to unlock the door so they will get a real good look there. Touch up paint, clean off cobwebs, shine your door handle, freshen up landscaping, and scan for brown spots in the lawn if you have a pet. This all matters. For all of the above, your best counselor is a good agent—even if you’ve got the nicest digs on the block. It’s paramount to hire a Realtor that you like, trust, and respect, adding that even in a lively market, if you don’t match well with your listing agent, your sale could be adversely affected. The feeling must be mutual, or no working relationship should ever take place. Use the list above, do your homework and due diligence, and remember: Stay humble. These markets and others may be going gangbusters with activity, but selling your home is never a given. You and your Realtor will still need to hustle to land the right buyer.